It was only last April that relatively new Puma Cathy Heptinstall ran her first 10k race. 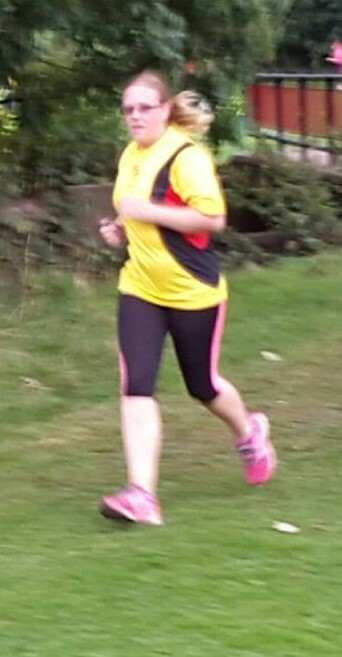 To prove she’s making great strides, last Wednesday, she decided to do another, solo, in the Farsley Flyer Trail Race. And all hats off to her for giving it a go. But for those of you who know her well, they weren’t seriously worried whether Cathy would manage the multi-terrain six-and-a-half mile route, but more concerned as to whether she’d actually manage to find the venue. She seriously was concerned about that. The Farsley Flyer Trail Race is a little known event that’s worked its way onto the running circuit for the first time; the organisers are trying to seek more publicity so that it gains popularity. Most of this is being done by word of mouth but on the evidence of the number of local clubs who were represented, the word is certainly getting out there. The Farsley Flyers who organise this race have introduced a concept previously unknown to this scribe; no mass start meaning those who may be ‘running late’ can turn up anytime between 6.30pm and 7.30pm. As everyone is ‘chipped’ times and positions will later be ironed out. A further incentive to enter this race are the cakes and biscuits awaiting the finishers, as well as £2 off a drink in the local hostelry The Fleece, on Town Street. Some of the runners pre-race looking relaxed. What’s the rush, anyway? The route consists of mainly country lanes, trails and fields. A few of the trail sections were slightly overgrown, and just for good measure, there was a section that was muddy due to the recent rain. Though on the evening, the weather was kind and the sun stayed out. Having navigated her way to Farsley, Cathy found herself near the front at the start, crossing the start line at 18:30.15 once the runners had been given the green light to go. I hasten to add at this point that Cathy wasn’t being stalked; these ‘out’ and ‘in’ times are recorded on the results sheet. Cathy in recent action at Brighouse. The route, hitherto kept a secret from all competitors except those who had reccied the course during the week, had a climb of 200 metres, but Cathy negotiated it well and finished just after five past eight, 107th out of 153 runners in a time of 1hr 35:20. The winner of the event was Ben Coldwell in 53:36, whilst the honour of the first Farsley Flyer home fell to James Crabtree, who finished sixteenth. Evidently, from the feedback from runners who took part, there is a good chance that we’ll see more competitors next year. “A great event – well organised, great route and delicious cakes. Would definitely run future races,” was one typical glowing review. 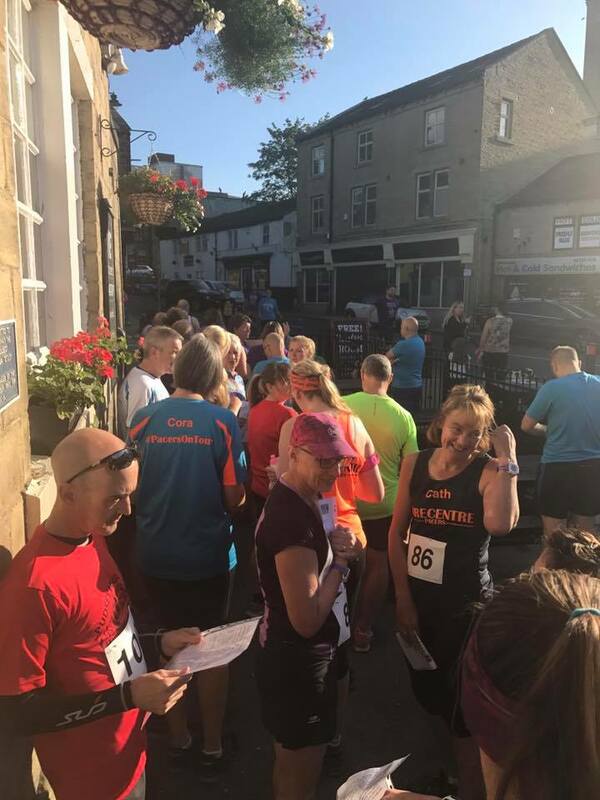 Oliver Gregory of the Flyers responded by saying, “Farsley Flyers loved every minute of hosting their first race, hope you all enjoyed the challenging route.” Their first race, maybe, but I’d say definitely not their last. Next year, I expect Cathy to be accompanied by several of her Puma friends.